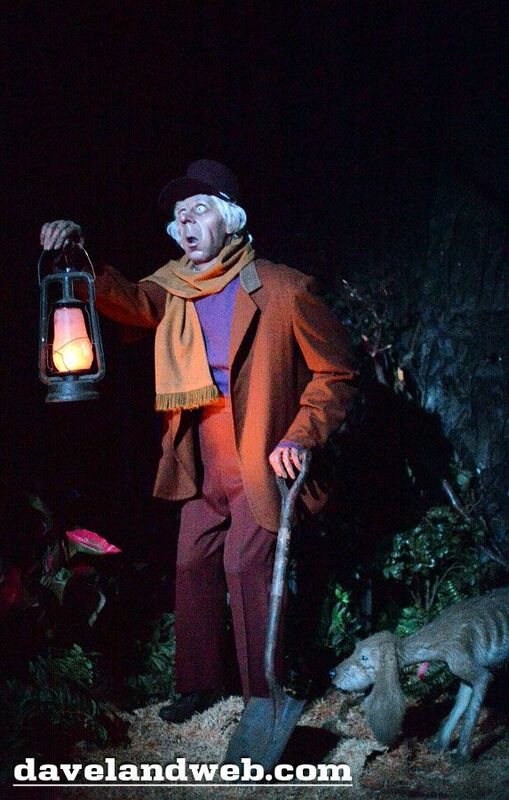 And make no mistake, "Caretaker" is his official name. It's on the schematics and the blueprints, not "gravedigger" or "gardener" or any other equivalent. The reason that matters will become clearer as we go along. I've been slow to blog on this character, for several reasons. 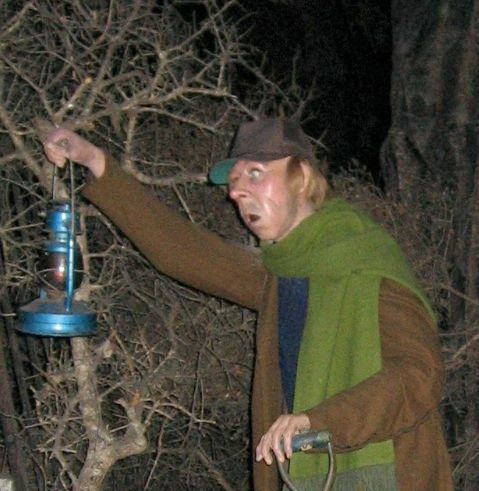 First, the significance of the Caretaker has already been discussed here at LF, but the most thorough treatment is buried in the Comments on a previous post, and I can't realistically expect readers to go through all the Comments in addition to the 120+ posts at LF (although I highly recommend it; sometimes some pretty neat stuff appears there!). Anyway, the main points of the argument belong out where all the world can see them. Secondly, there is very little history to report with this figure. 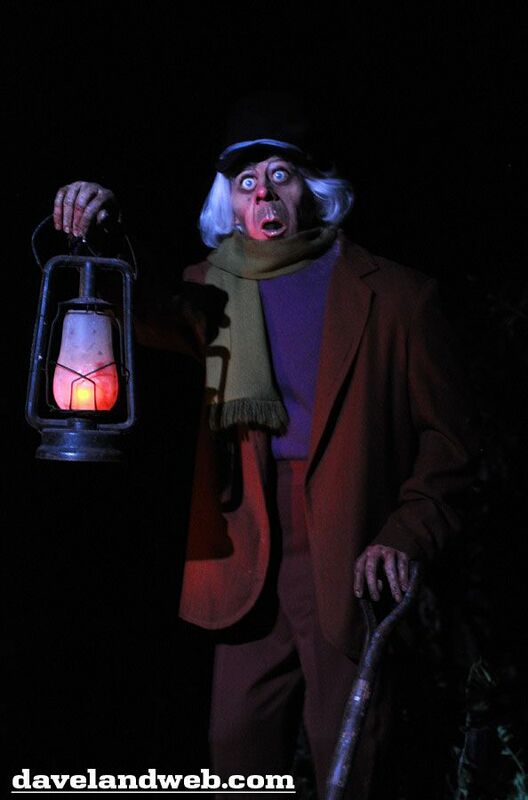 He's hardly changed since the Mansion opened. However, he has changed in one small way, and no one has noticed it, so here too there may be something interesting to say. And finally, if I'm going to discuss this guy, I have to make one more trip to The Haunting, and you know how weary I am of that movie. But that's no excuse. 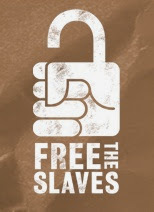 History first. 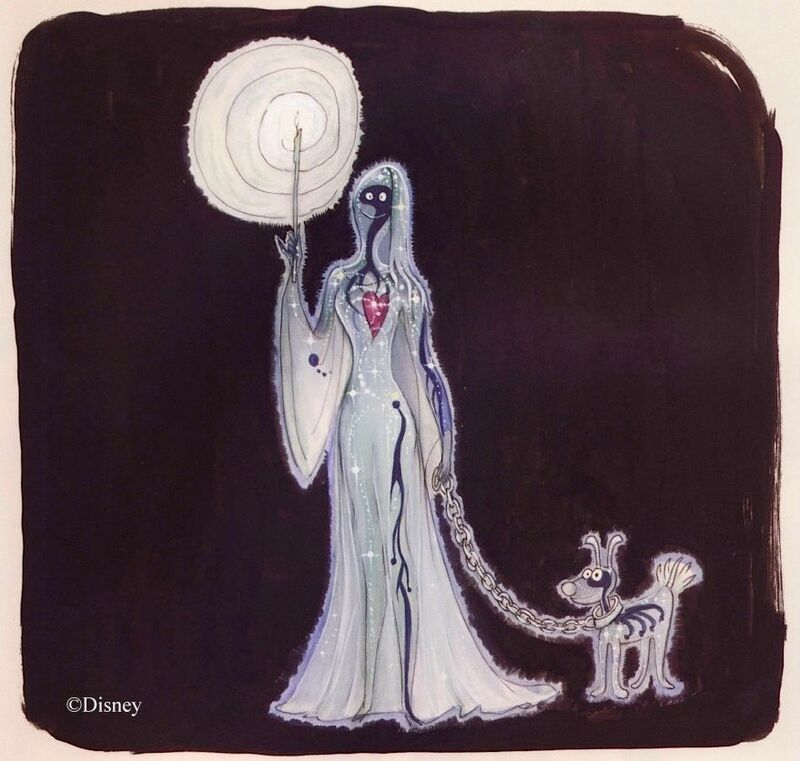 Like practically every other character in the Haunted Mansion, The Caretaker began life as a Marc Davis sketch—actually, part of a Marc Davis sketch. This is one of those Davis ideas that went straight into the ride. There is very little difference between the original concept and the finished figure. 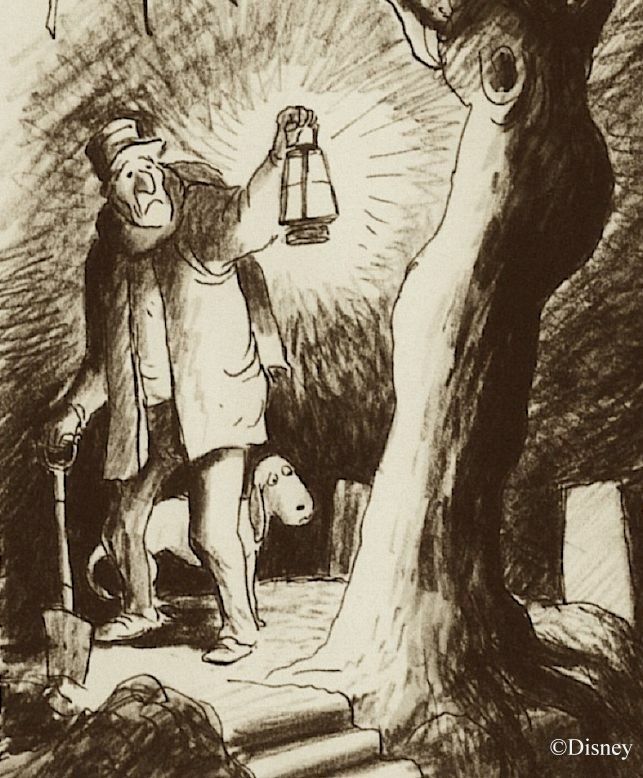 This sketch is pretty direct evidence that he is supposed to be the caretaker for the graveyard he is standing next to, not a caretaker for the house who has apparently come out here into the back yard to see what all the commotion is about. 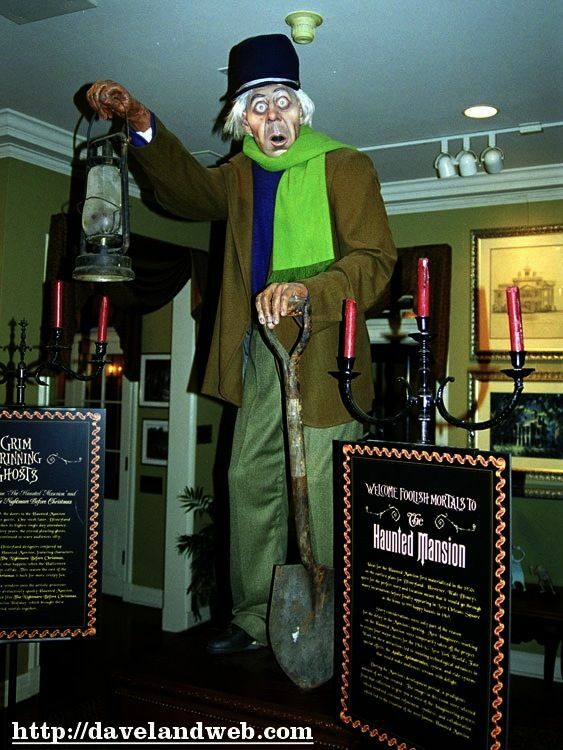 This can be inferred anyway by the fact that he is heading into the graveyard with a shovel. And this graveyard is not a private cemetery belonging to the house but a public cemetery close beside it. 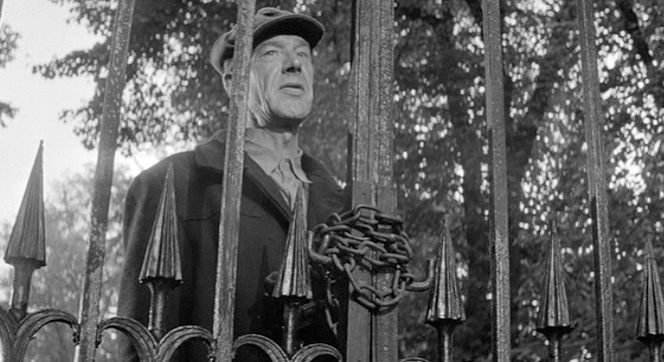 There is a big iron fence around it, with a big iron gate through which we pass en route to the jamboree, leaving our hero standing there at the entrance, afraid to enter. 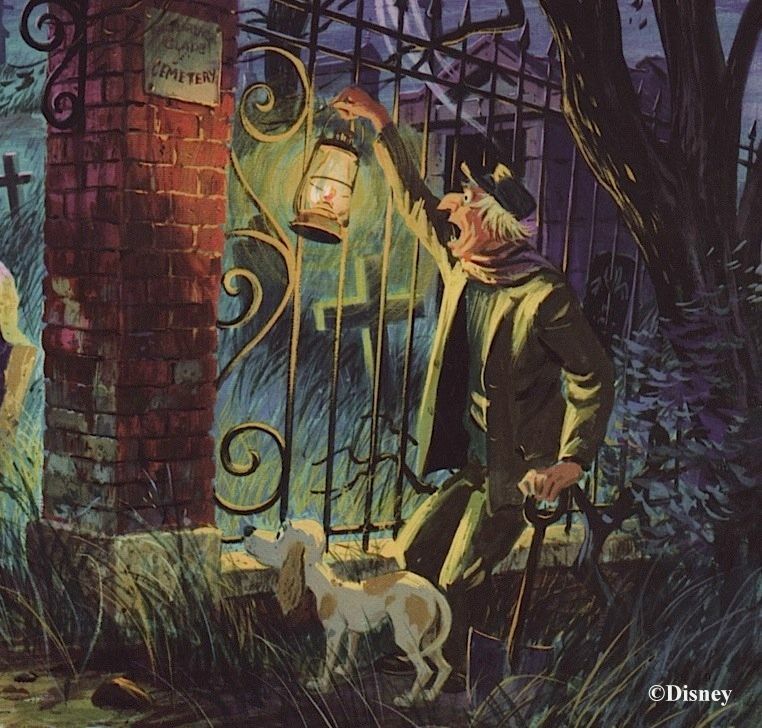 As we have seen before, Collin Campbell's illustration of the scene clearly shows the sign for the graveyard on the gate post: "[ ? ] Glade Cemetery." No doubt this fellow lives somewhere nearby, perhaps on the cemetery grounds themselves. They may have altered this even before the ride opened, if we may trust the date assigned to this photo: August 21, 1969.
long time. 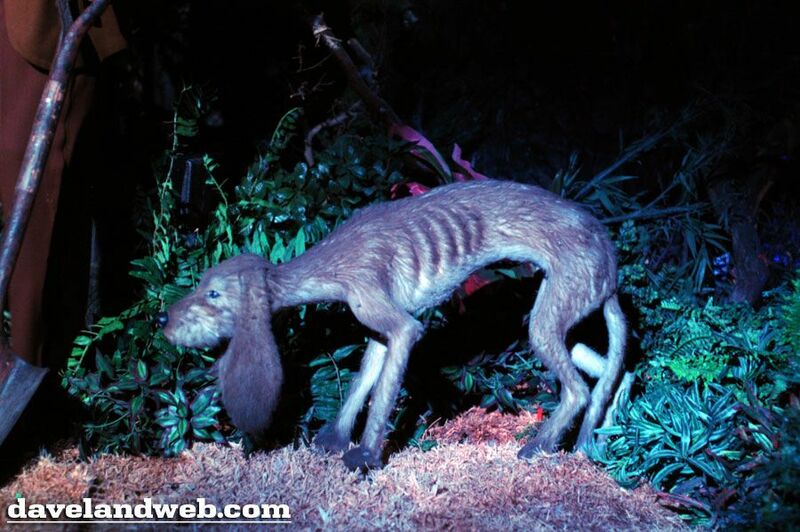 In 2003 we had a chance to examine him as closely as anyone would ever want to, in the Disney Gallery. looks like he should be toting a skateboard, not a shovel. 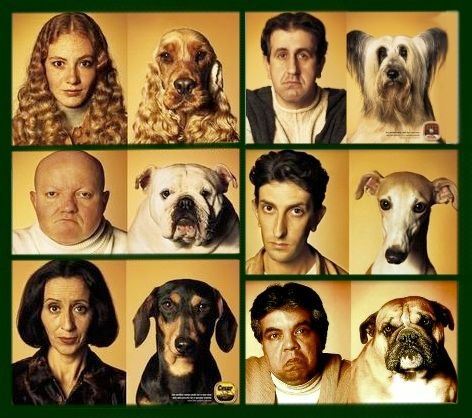 to look like their dogs? Well guess what? It turns out that it really is true. look is the same one they see in the mirror every day. So it's not your imagination if your best friend looks like his pit bull. including at Disney. 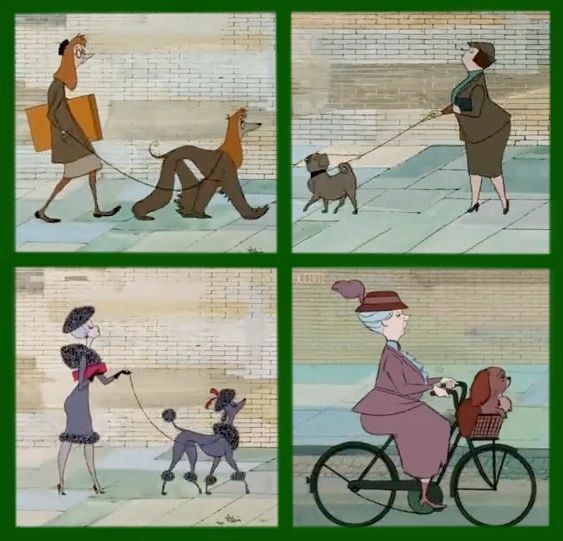 Remember the opening scene in 101 Dalmatians? way of reflecting the personalities of their human companions (or is it vice versa?). 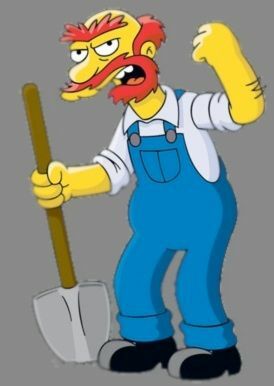 We're dealing with a stereotype here, a trope familiar from literature, film, and television, a stock character sometimes called "The Crusty Caretaker." He's always male. 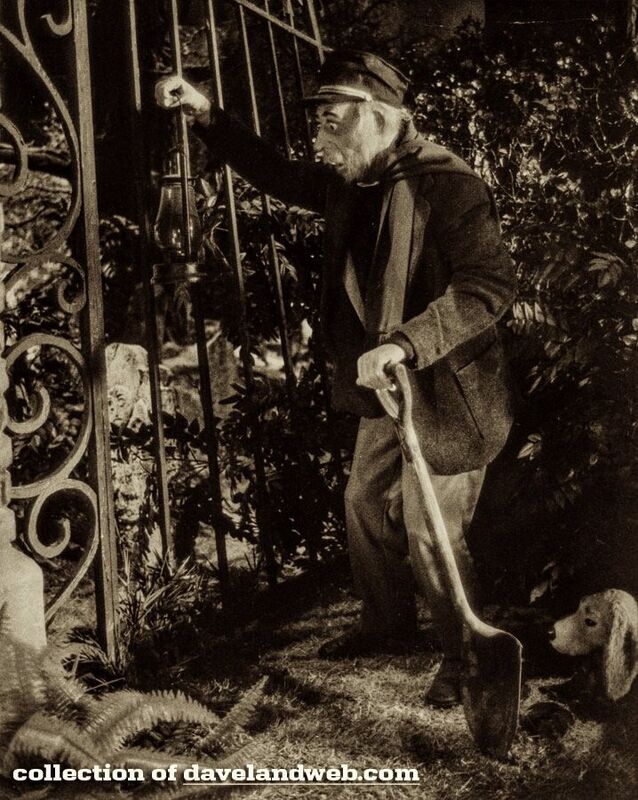 He's a loner, a quiet guy, elderly (or at least mature), often a gardener, sometimes a grave digger. 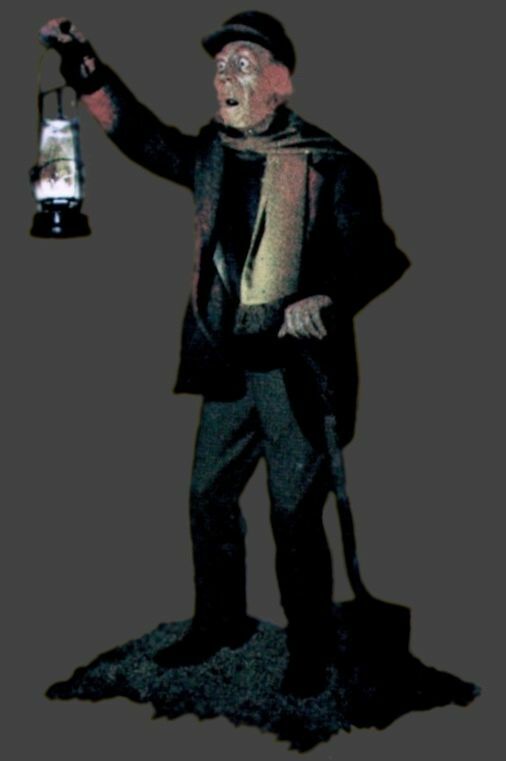 With the Mansion's version, it is important that we see immediately that he's a nice man, because there are a couple of important subtypes within this stereotype. There are good caretakers and bad caretakers. (Harry Potter has both: Hagrid is the good 'un; Filch is the bad 'un.) The bad ones are generally in cahoots with the villain, part of the problem. The good ones further divide between grumpy and gentle. (For that reason I think "crusty caretaker" may be a little too specific.) All of the good guy caretakers are serious and simple. They always know the secrets of the old place and they always tell the truth. 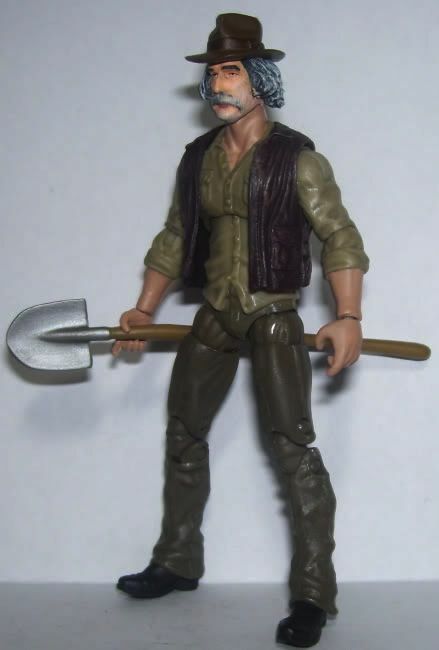 These guys show up everywhere, from The Simpsons (Willie the groundskeeper) to The Secret Garden (Ben Weatherstaff), from Wuthering Heights (Joseph) to Marvel Comics, where "The Caretaker" is the relatively mild-mannered identity of a super hero, at least super enough to warrant an action figure. 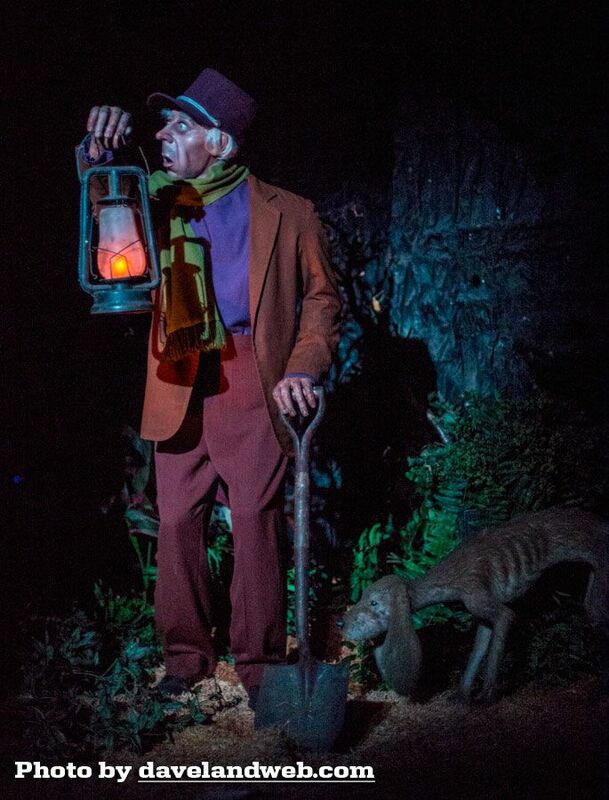 What all this means is that the Haunted Mansion character is instantly recognizable, and you know quite a lot about him within less than a second of laying eyes on him. You know that he's a quiet, simple, guileless man who's been around the place a long time and knows it well. 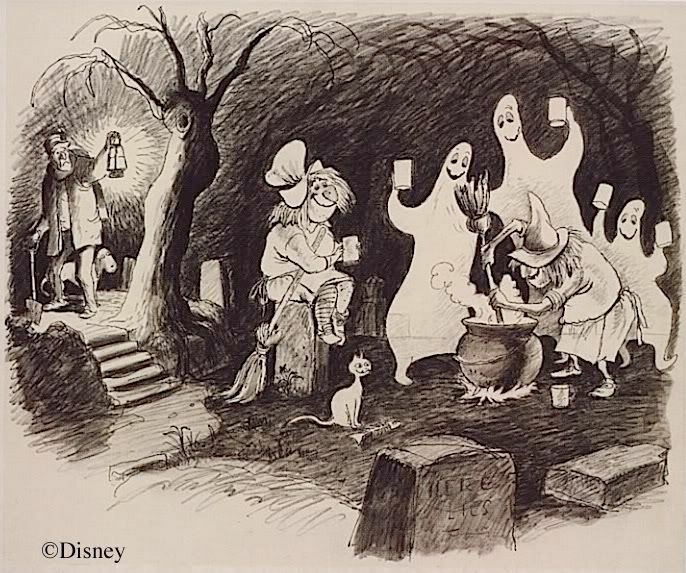 Marc Davis knew that in order to communicate character instantly, you had to deal in stereotypes, and this is a classic example of just that. 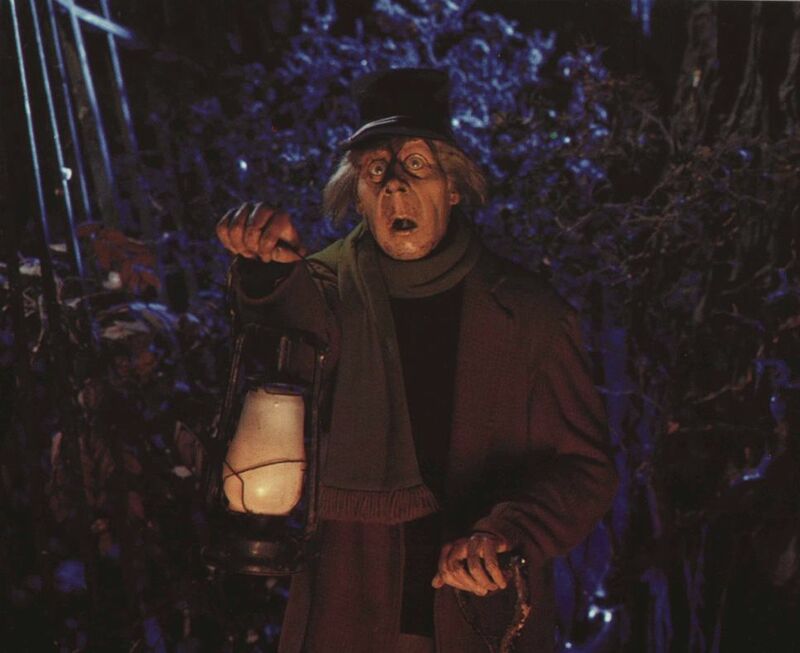 Is our Caretaker inspired by any particular Crusty Caretaker in literature or film? Yeah, I think so, and here we go again with The Haunting. 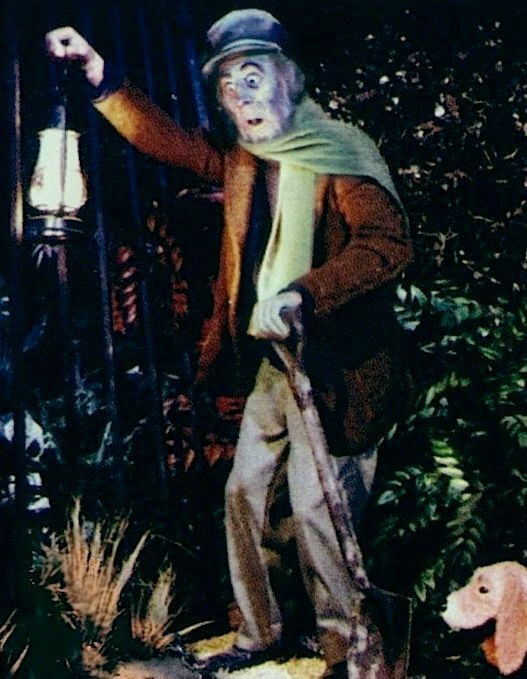 Mr. Dudley only shows up in one scene, but he reminds me of the guy in the Mansion more than any other CC. Hey Smiley, where's your shovel? Why Do We Need Him, Anyway? 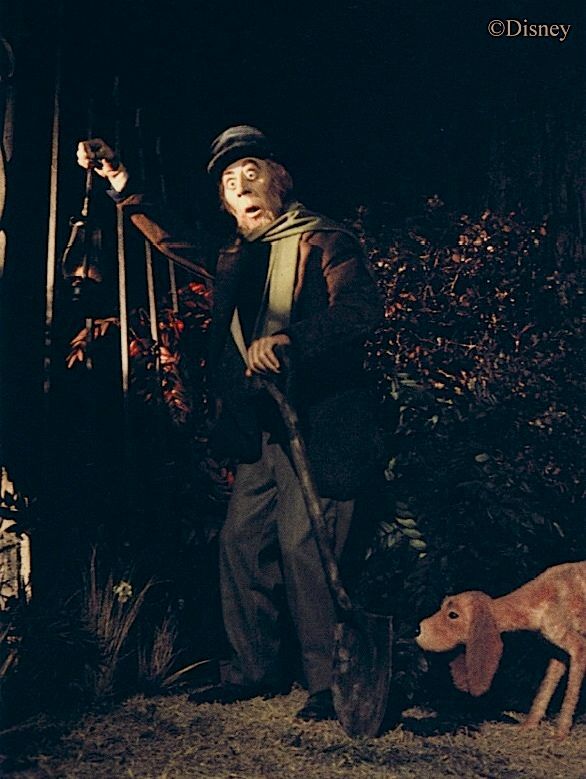 Unless you count the Butlers/Maids, the Caretaker is the only living human being we encounter in the course of the Haunted Mansion ride, and he stands like a sentinel at the literal entrance to the show's grand finale. He feels important. Is he? Yes he is, and I've said this before too, more than once. Because the stock character he represents is so familiar and so established, you know that he's been around for many years and that his testimony about what's going on is utterly reliable. And testify he does. 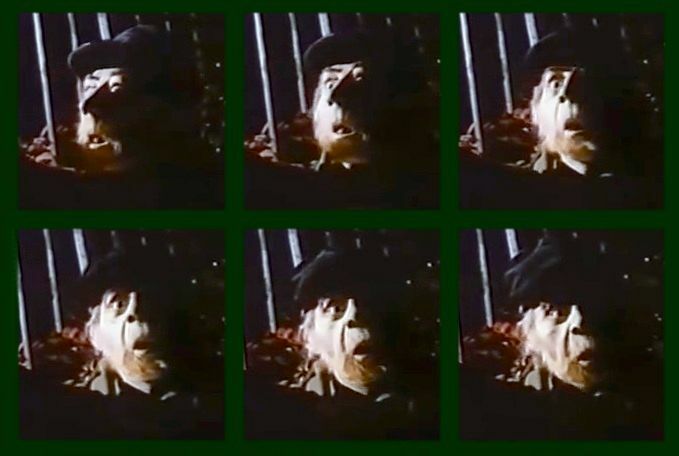 His countenance tells us as plainly as any words that he's not just frightened; he's astonished. That right there is all the proof we need that nothing like this has happened before within living memory. 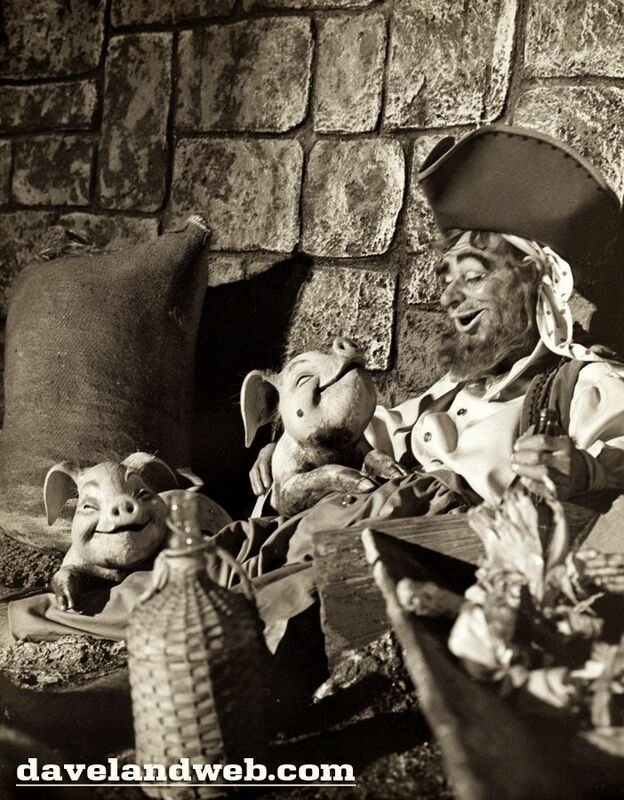 Some people resist this conclusion, but I think that any attempt to avoid it requires us to violate the stereotype, and the Imagineers have given us no warrant for doing that. 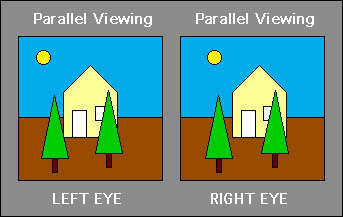 It follows that you are witness to a unique event. 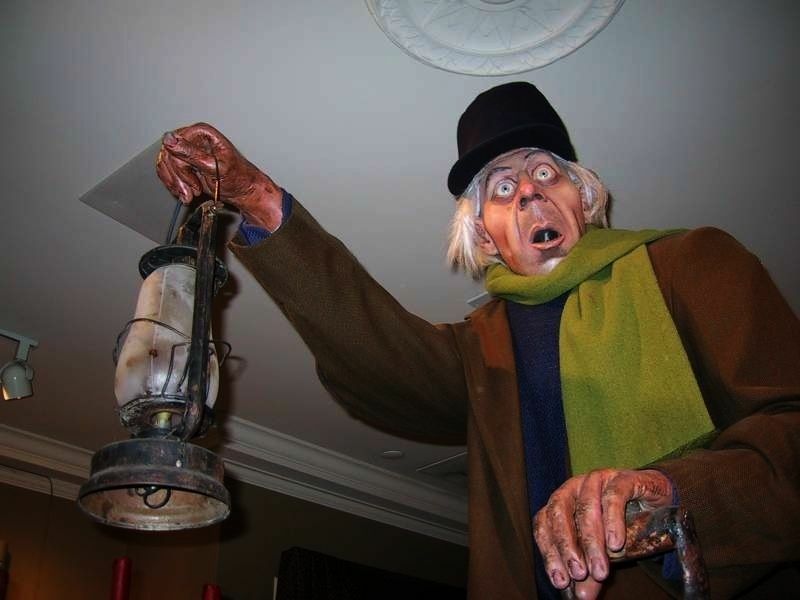 If the ghosts had ever come out like this previously, the old caretaker would probably have known about it, because he is after all the old caretaker, but more than this, it is dead certain he would have known about it, because he's not just the old caretaker; he's "The Old Caretaker." is), this character determines how you must interpret the entire ride. 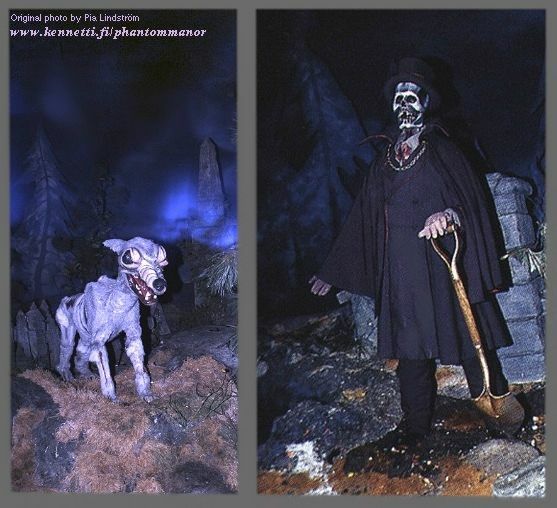 The 2003 Haunted Mansion movie was originally going to include the Caretaker character, and rumor had it they wanted to cast Don Knotts in the role. 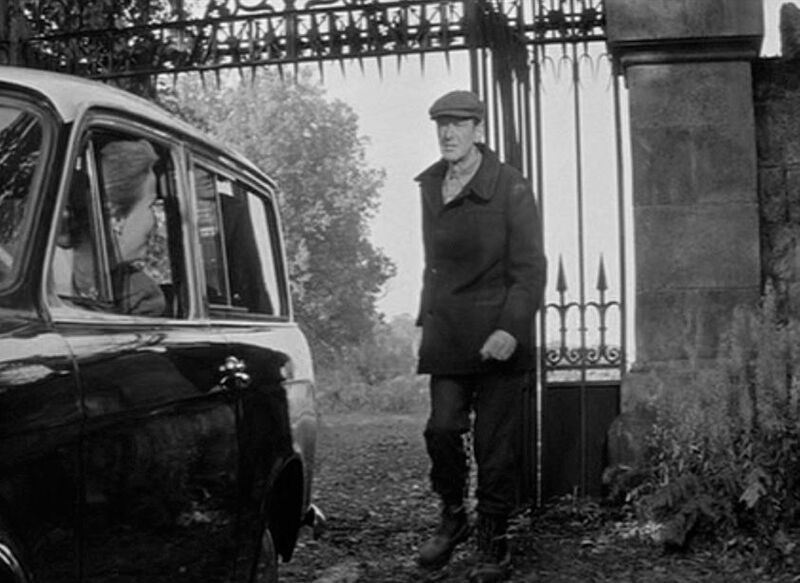 Anyway, in an early script for the movie, the Evers family sees the Caretaker and his dog as they drive up to the house, and Jim tries to ask him if they've got the right place. He doesn't answer any of Jim's questions. All he does is stare at them, and eventually he says, "Do not go into the house. Only death awaits you." That was his entire part. 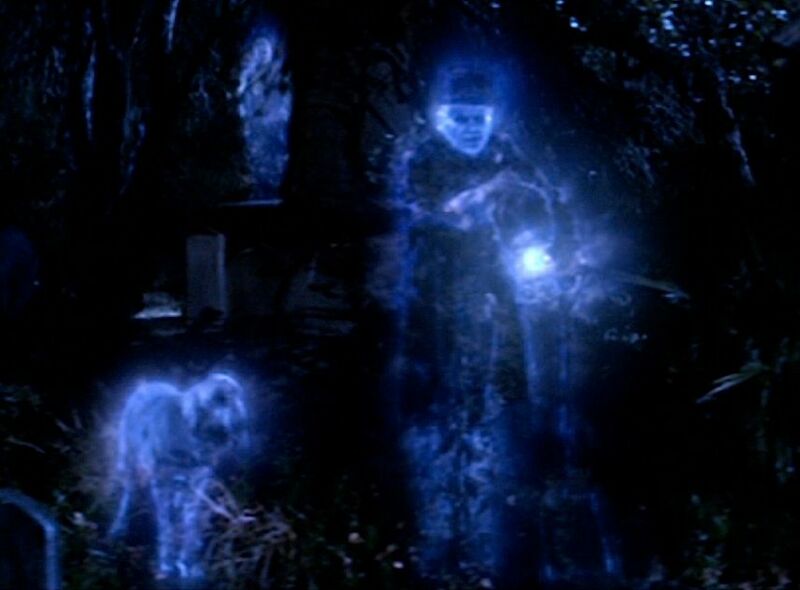 They eventually scrapped this scene and decided to present the Caretaker and his dog later in the film as just two more ghosts at the graveyard party, which is pretty dumb, but then, so is the rest of the movie.